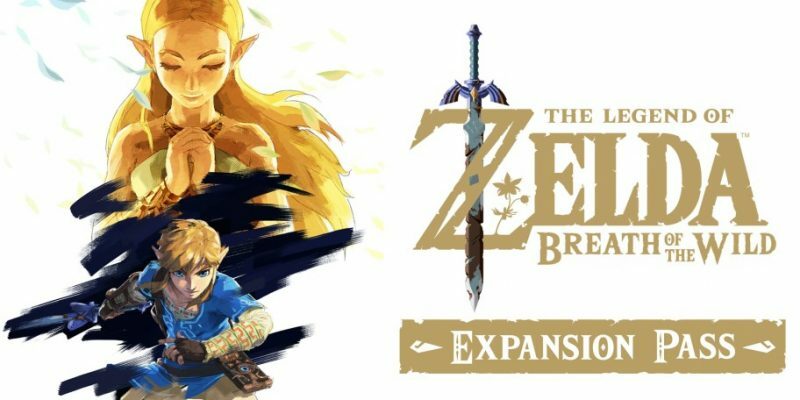 Nintendo today announced that The Legend of Zelda: Breath of the Wild will receive DLC in the form on an “Expansion Pass.” Available to purchase on March 3rd for both the Wii U and Nintendo Switch versions of the game, this $20 expansion pass unlocks three waves of content. The first is an instant unlock of three treasure chests with useful items. There's also a Nintendo Switch shirt for Link, but it’s the other two things you're really paying for. The DLC pack 1 releases this summer and unlocks a hard mode, an “additional map feature,” and the Cave of Trials. If it’s like the Cave of Trials in Twilight Princess, that means it’ll be a series rooms filled with enemies Link has to overcome. The second DLC pack releases in the holiday season have a new dungeon, new challenges and an original story add-on. Now this isn’t a season pass, because the DLC packs are not available to purchase separately. Instead it's a single purchase of DLC releasing in different intervals. https://youtu.be/oyrxBjbwx8o Now these are incredibly vague and didn’t contain any gameplay footage, but that’s usually because Nintendo doesn’t has their DLC ready at around the game’s launch. In fact, they’ve had a good track record with DLC. Mario Kart 8, Pikmin 3 and Hyrule Warriors had substantial additions for little cost. Super Smash Bros. had waves of killer hype around it. So while you may not think it’s worth it on March 3rd, it could be when they offer more info.